ICE 2017 SLOTT'S IN ANOTHER COMIC BOOK CREATOR! On the 9th of September, 2017, Britain's coolest comic book convention is once again opening their doors to the general public. 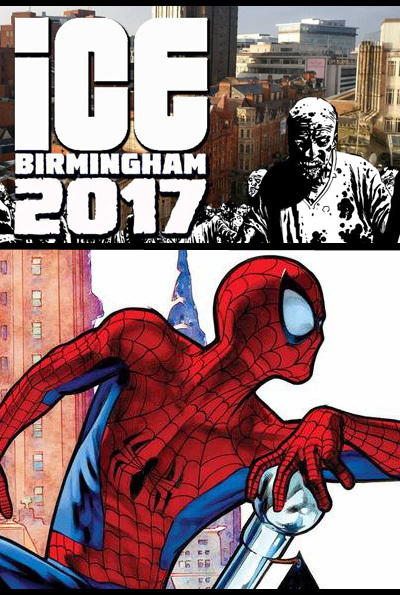 Held at Birmingham's illustrious Conference and Events Center, Hill Street, Birmingham, ICE 2017, also known as the International Comic Expo, have announced that they've a number of notable comic related guests in attendance. 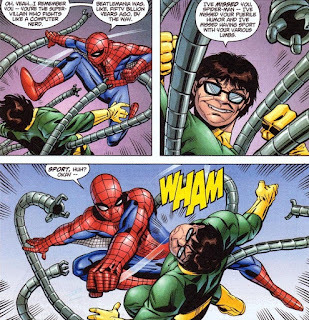 Among those who will come along include the current writer on the Amazing Spider-Man comic book, Dan Slott, who's entering his 9th year working for Marvel, most notably on such major Spider-man story-lines as “New Ways To Die”, “Spider-Island”, “Ends of the Earth”, and the infamous “Superior Spider-Man” saga, where we saw Doctor Octopus swap minds with Peter Parker. 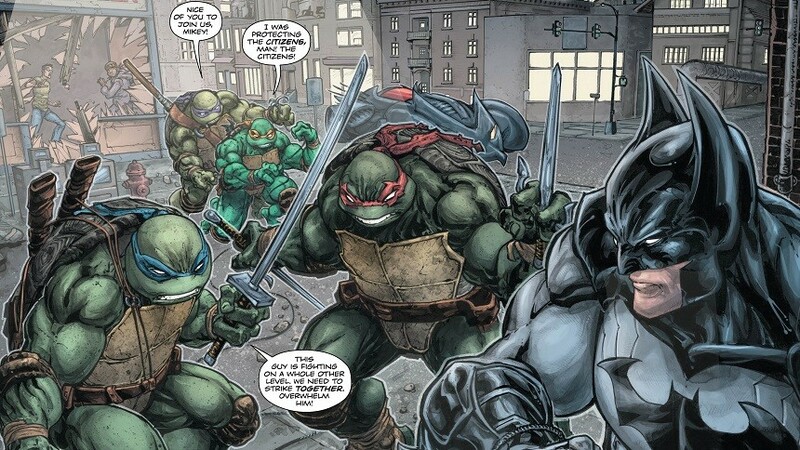 In recent years Dan's Spidey-related stories have expanded his roster further into the Marvel Universe, with “Spider-Verse”, “Renew Your Vows”, as well as “The Clone Conspiracy”. Dan’s career at Marvel first began in 1991 when he was hired to write stories for Mighty Mouse, the New Warriors, and the Punisher. By 1992 he had his first ongoing book as the writer of The Ren & Stimpy comic. This then led him onto a long run of work on a few "all-ages" books, mainly for DC, including Scooby Doo, Looney Tunes, Animaniacs, Dexter’s Laboratory, and Powerpuff Girls. After working on a range of cartoon related titles for DC, including Batman Adventures, Superman Adventures, and Justice League Adventures, Dan was given the chance to pitch them mainstream super hero projects. 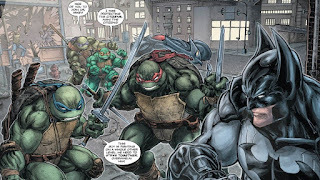 This led to his 2003 mini-series with artist Ryan Sook, entitled Arkham Asylum: Living Hell, and on the success of that, he was able to pitch Marvel a new ongoing She-Hulk title, which officially became his first ever ongoing super hero book. From there, he has worked on The Thing solo title, a number of Avenger related spin-offs, including The Great Lakes Avengers, The Avenger Initiative, as well as The Mighty Avengers, and as we all know, he's now working on the web-headed wonder himself. 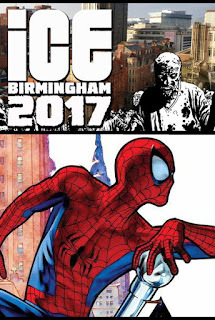 Other notable guests who will be attending ICE 2017 include: Lukasz Kowalczuk, who's an artist from Poland working on a number of independent comic books; Freddie E Williams II, best known for his artwork on the Green Arrow solo title and the Batman / Teenage Mutant Hero Turtles mini-series; John Bolton, award winning artist praised for his realistic depiction of super-heroes; Will Sliney, Irish artist who's worked on the Star Wars comic book; plus many more great creators will be announced shortly via the official ICE website. What: ICE 2017 - The International Comics Expo. Where: The Birmingham Conference and Events Center, Hill Street, Birmingham, B5 4EW. When: The 9th of September, 2017. The doors will be opened to early birds at 10am and to the general public at 11am, and then they close at 17.30pm for everyone. How Much: Prices range from £12 to £70, depending on what you want to see, and you can purchase them from the Eventbrite website. Now for any more information about ICE 2017, please feel free to click onto their website, facebook, and twitter pages.